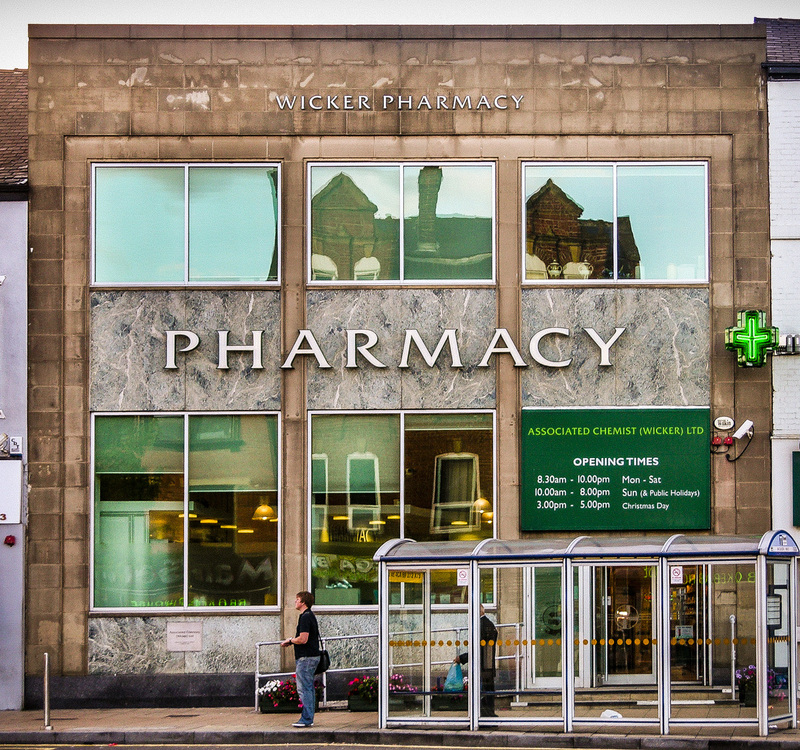 Wicker Pharmacy, 55-59 Wicker, Sheffield, South Yorkshire, 2010 • More 1960s marble on a building which started life as a Midland Bank. The pharmacy, founded by a consortium of local chemists in 1952 and open every day since, moved into the bank in 2004 due to a road replacing their old premises – there’s a history here. Must be the only place I’ve ever seen specifying Christmas Day opening hours!